Shrimp is a very healthy and tasty product. Shrimp belongs to the crustacean family and can be of several species (up to 100) and sizes (2–30 cm). They live in all the seas of the world, and some even caught on in the fresh waters. In stores, shrimp are often sold frozen and packaged in packages. The largest size of shrimp, the higher their price. One of the most common types of shrimp is shrimp ranging in size from 3 to 8 cm long. Choosing shrimp, it is important to know a few rules, so as not to get poisoned. 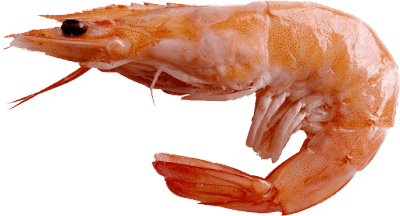 First of all, you should pay attention to the head of the shrimp, it should not be black, and otherwise, you cannot take the shrimp. Then you need to look at whether there are white stripes on the shrimp, which is a sign of freezing of the shrimp and, accordingly, a sign of its poor quality. Also, pay attention to the shell of shrimp. If it is dry, then it indicates that the shrimp is old, and, accordingly, its taste is not like it should be. Ideally, the shrimp is slightly moist, has no white spots and has a nice color. Shrimps are ideal for those who are overweight and do not want to get better, because the calories of shrimps are very low, and their nutritional value is very high due to the high protein content in them. 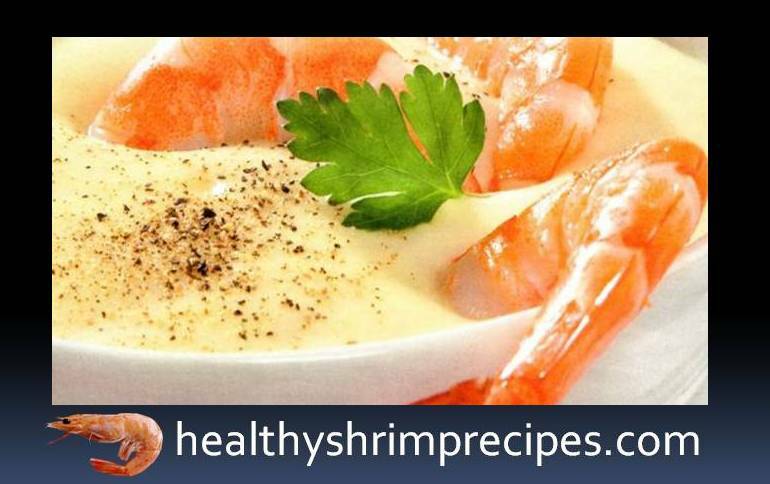 Only 98 Calories per 100 gram, However, this applies to boiled or steamed shrimps, but if they are cooked in breading or baked with sauce, their caloric content increases 2.5-3 times, which can provoke the appearance of excess weight, therefore this is not to be abused. Shrimp, by right, can be called a pantry of vitamins, minerals, and amino acids. They contain protein and iodine in large quantities, amino acids, fat-soluble vitamins, folic acid, calcium, sodium, potassium, iron, cobalt, copper, fluorine, phosphorus, zinc, molybdenum, B vitamins, and many others. 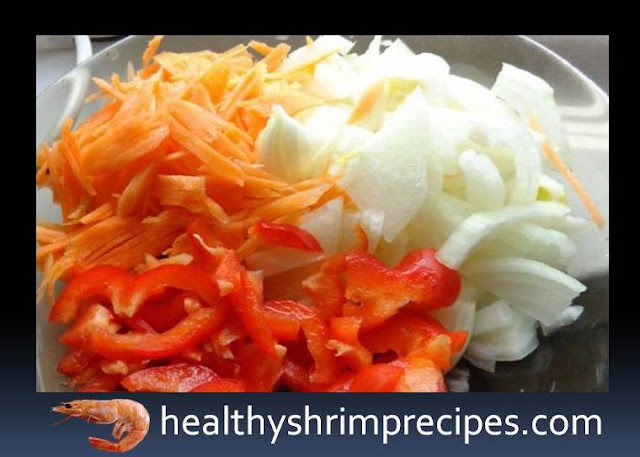 Regular consumption of shrimp will help fight diseases of the thyroid gland, kidney, immune system, cardiovascular system, improve the condition of nails, hair, and skin, enhance immunity, and reduce the manifestation of allergic reactions. So, let's get down to making the most delicious mashed shrimp soup. First, we wash the shrimp thoroughly in cold water. Then in a small saucepan, boil about 1/2 liter of water. Add there shrimp, bay leaf, half a pressed lemon, seasoned with Italian herbs and salt. Boil for about 1.5 minutes and remove from heat. Take the smallest strainer and filter through the broth. After that, cooked shrimps are cleaned and cut them into small cubes. After this, we proceed to the preparation of frying for our future cream of soup with shrimps. To do this, we slice onions, Bulgarian pepper cut into small cubes. Cut carrots into small cubes, chop tomatoes, and celery root. We take a frying pan, pour some butter into it and spread the chopped onion and pepper, sausage it all for about 4 minutes. Then add the pre-cut shrimps there and pour it all with hot cream and whipped melted cheese. After the mass gains a thick consistency, remove from heat. We take a separate saucepan of a small size, pour the strained broth from the shrimps into it and bring to a boil. After that, add the Bulgarian pepper, stewed in cream, pepper, onion, carrot, tomato, celery and shrimps, and cook over low heat, constantly stirring for another 3 minutes. Salt to your taste. Well, that's all, delicious and fragrant mashed shrimp soup is ready. You can pour into plates and pamper your household. 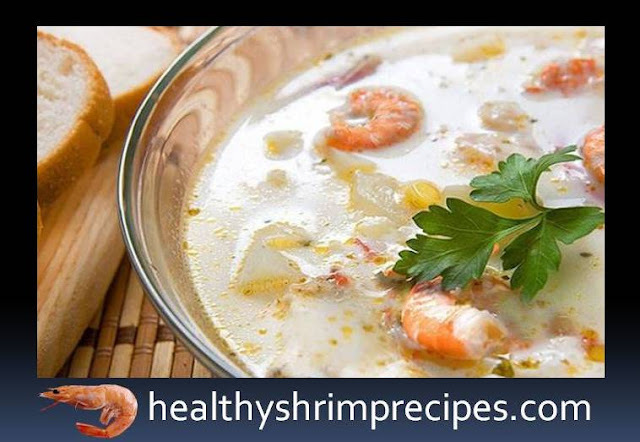 Served cream soup with shrimps with pre-peeled shrimps, small sliced greens (parsley, onion, dill), to taste, you can pepper or add a few slices of lemon. 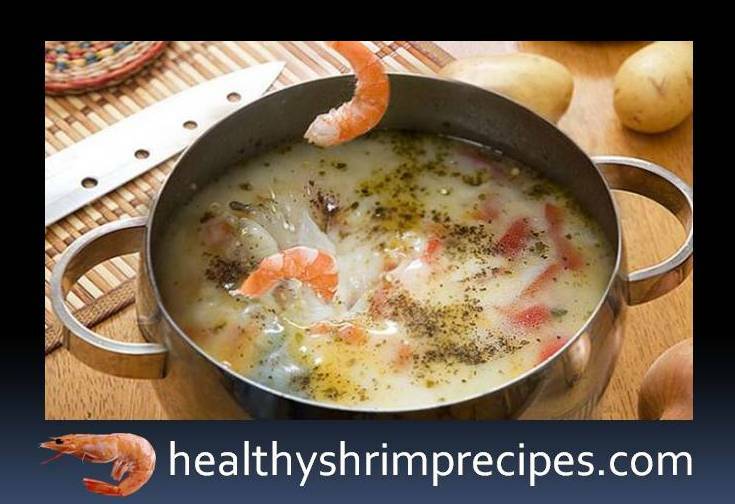 Unforgettable and tender taste of cream soup with shrimps, a successful combination of products will not leave anyone indifferent who will try this masterpiece.